If you are thinking about what is the best way to get a top-notch home in an idyllic place where you can enjoy the best quality of life at very cheap prices, is interested in the possibilities of Casas Espania. Our Realtor housing has all along the entire coast of the Mediterranean Sea. 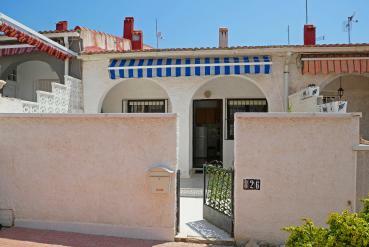 We advise to ask for bank repossession bungalow for sale in the Costa Blanca. This type of bank owned homes and foreclosures that are coming are an excellent choice to take over a house for a much lower price than the market would dictate itself. In Casas Espaniawe have a large number of homes from bank foreclosures. But just as we also offer our customers the opportunity to get new, unused or resale homes. In any case, all properties for sale in Spain, either in the Costa Blanca or Costa Calida, are in a perfect state of maintenance and preservation, ready to move in when desired. You should note that, although the case of a bungalow from bank foreclosure sale on the Costa Blanca, our agents have ensured that this, like other homes have all the extras and facilities needed to start living comfortably in it. Enjoy the Mediterranean Sea and its magnificent beaches, or meet the many golf courses that houses the area and its many amenities, entertainment, shopping, restaurants ... etc, will from now alternatives that complete their life in paradise. Also, if you decide to trust Casas Espaniawill not have to worry about anything. The pawn for fifty years we have been paying for each and every one of our customers has allowed us to improve the delivery of services we offer. Thus, the best advice, possibility of Inspection Trips and help with all legal formalities, insurance, contracts etc. That may arise to our customers when looking for a cheap property for sale in Costa Blanca will be solved by our Realtor with speed and convenience. So you know what to do. If you want a bank repossession bungalow for sale in Costa Blanca or want to buy a bargain property Alicante on the Costa Blanca call us at 0034 966 785 202 or 0034 669 366 996 and request information on any of our properties or services.